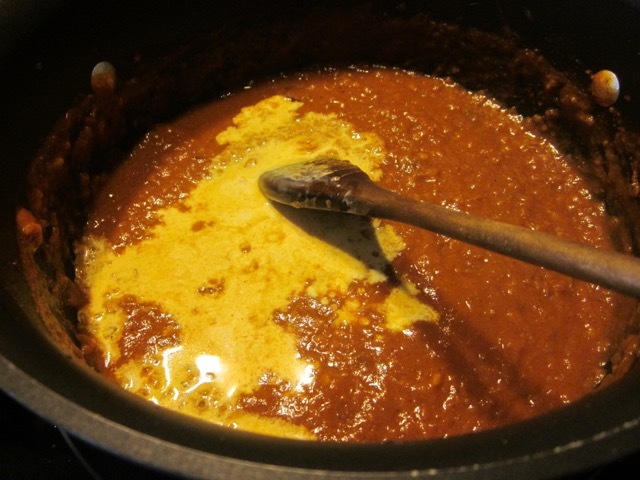 Makhani is a Hindustani word meaning “with butter“. It is used in the names of several dishes from Punjabi cuisine. 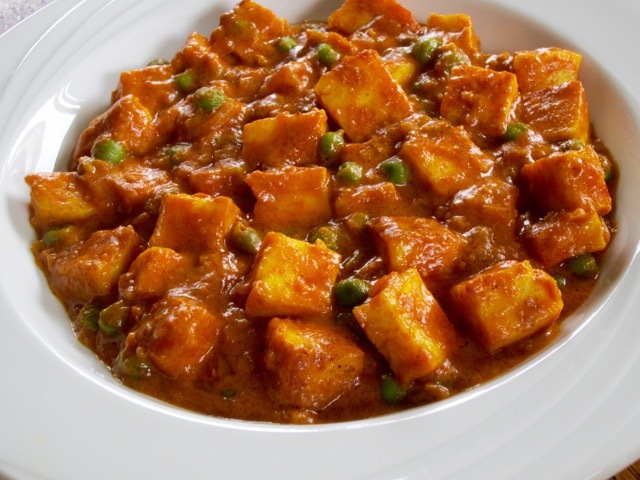 Paneer makhani is made from the white cheese paneer, and is also known as “paneer butter masala”. I got the recipe from here: It’s so good, I make it at least once a week. How is summer? ours here is so hot, but I guess it’s better than those cold and grey and depressing winter days. I wish you a wonderful week! 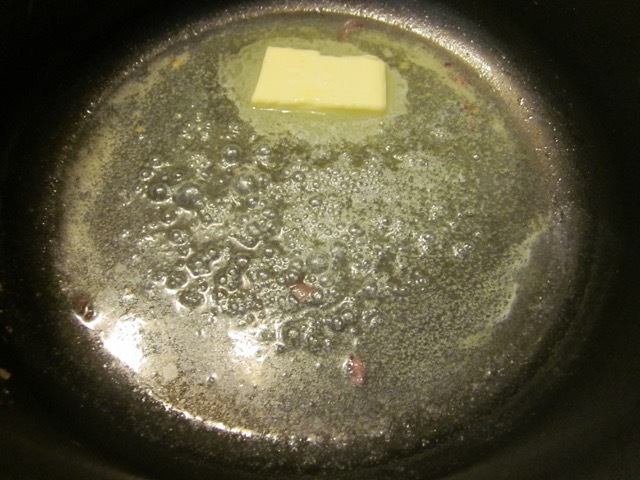 until lightly browned. Don’t fry them too much otherwise they will become hard. Set aside. 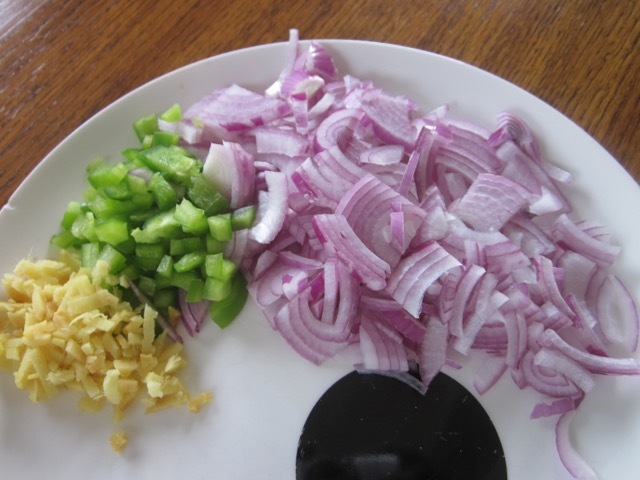 To make onion and chilli paste: fry the onions and green chilli in the remaining olive oil for about seven minutes until onions are transparent. 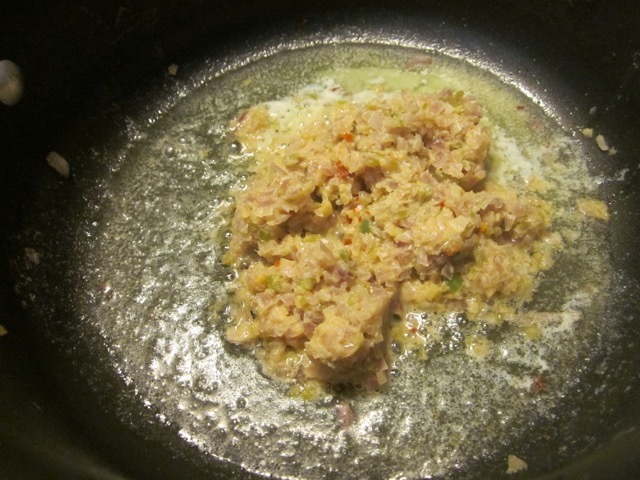 Add the grated ginger and cook for 1 minute. 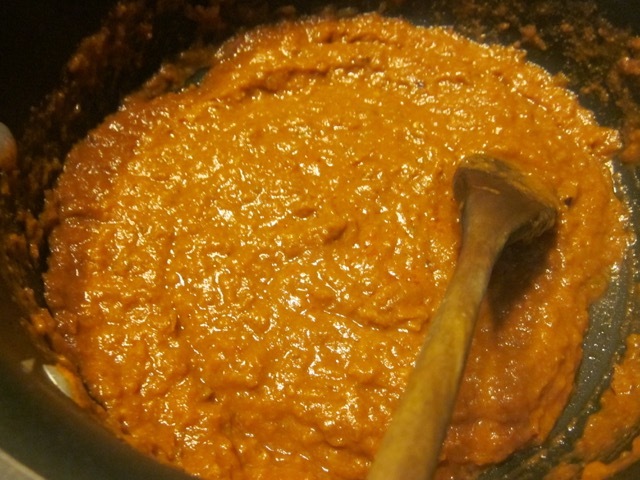 Remove with a slotted spoon and blend the mixture into a smooth paste. Set aside. 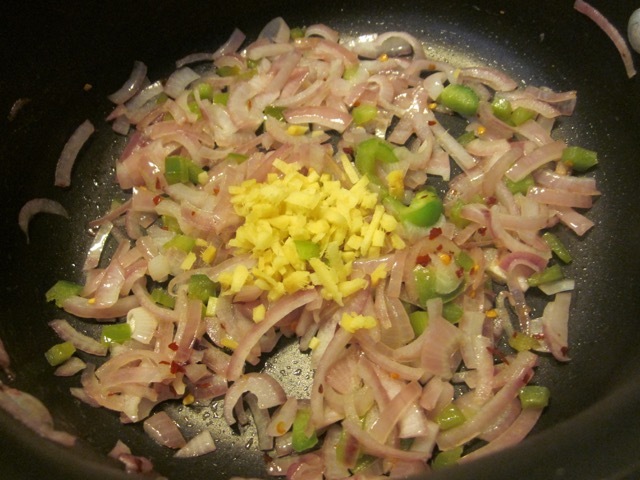 add the prepared onion paste and cook for a few minutes. Add the spices: red chilli powder or dried flakes, Hungarian paprika, turmeric powder and garam masala. Add the tomato puree and stir for 1 min, then add the water or broth and the ground cashew and bring to the boil, stirring. Simmer for a few minutes until thickened. Add the cream, season with the salt and sugar to your taste. 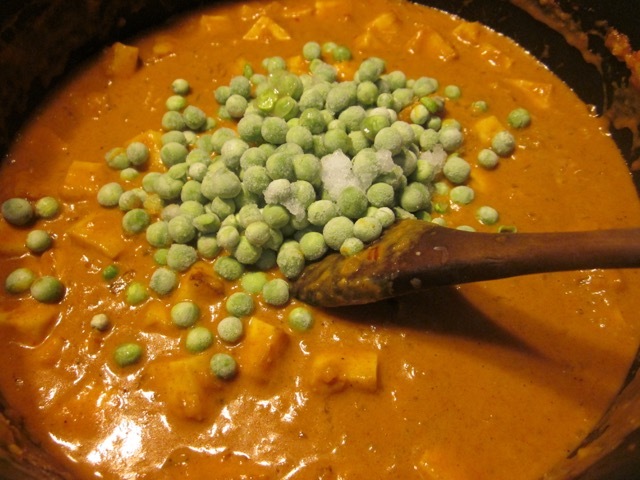 Finally add the fried paneer and peas (if using), bring to the boil, then reduce the heat and simmer covered for 5-6 mins. Adjust seasoning, if necessary. Just before serving add the crushed fenugreek leaves (kasuri methi) and mix well. (I wasn’t able to get this ingredient). Serve it with naan or steamed Basmati rice. Boil some water in a pot, add pinch salt, add the paneer pieces and take them out within a minute.This will make the paneer very soft. 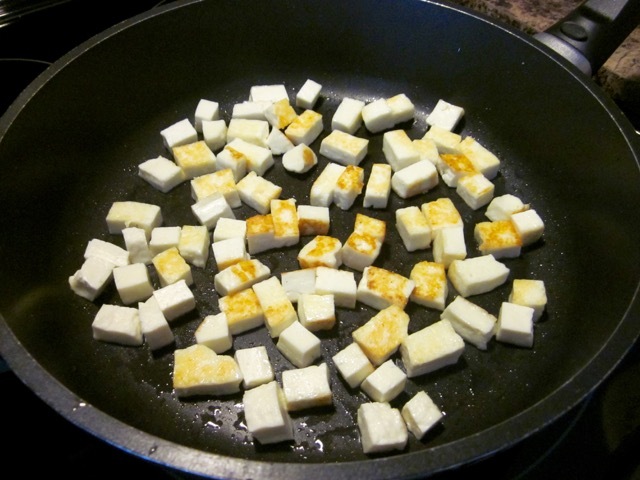 Shallow fry the paneer in 1 tablespoon olive oil until lightly browned. Don’t fry them too much otherwise they will become hard. Set aside. 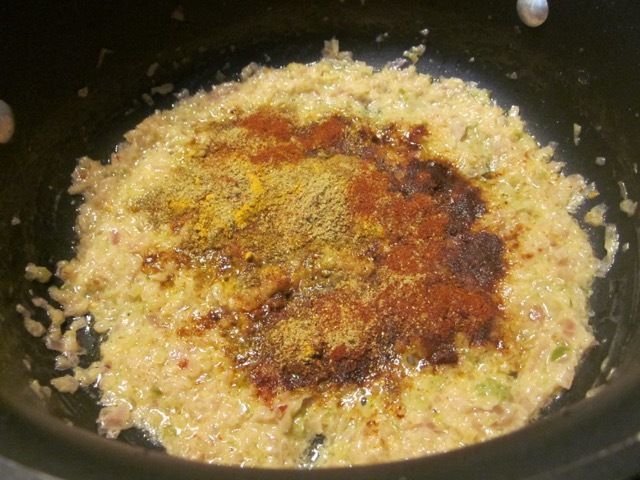 In the same pan over medium heat, melt the butter or ghee, add the prepared onion paste and cook for a few minutes. Add the spices: red chilli powder or dried flakes, Hungarian paprika, ground coriander, turmeric powder and garam masala. Cook for about 5 minutes over low heat. If its too dry add 1-2 tablespoons water. 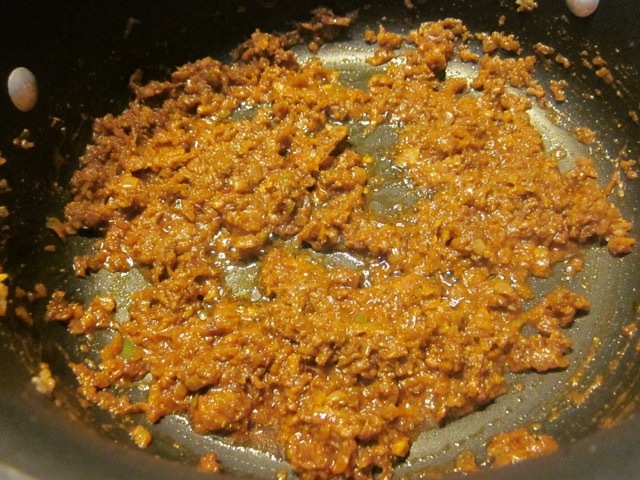 Just before serving add the crushed fenugreek leaves (kasuri methi) and mix well. I’ve always wanted to try making an Indian dish. I love Indian food, intensely. Have a great week, ahead! I’ve just starting experimenting with Indian cuisine and initially thought this recipe was still a bit too much for my skill level. After reading it, though, and realizing that wasn’t tofu, I think I can do this! I’ve pinned it and will give it a whirl. Thanks, Liz. I’m so happy to see you after a long silence on both ends. Of course you can make this simple dish. No sweat at all. Thanks for pinning John. I wish you a very pleasant week! I hope you find time to make it!!! 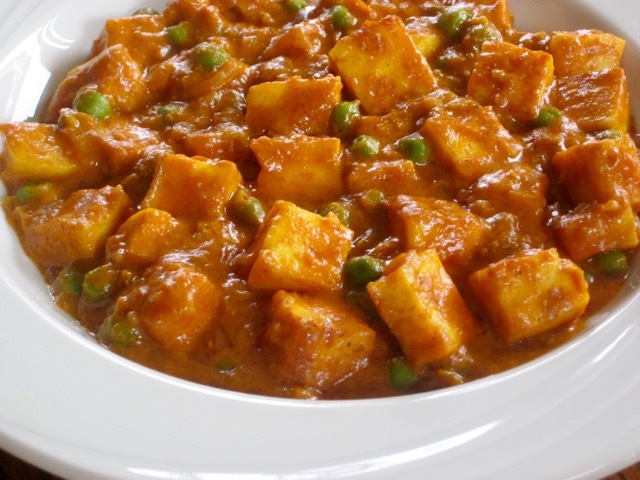 I’ve never thought about a paneer curry! I’ve only seen it in with spinach or pea curry. This must be so fabulous I might have to go buy milk and make paneer! Thank you! At least you know how to make paneer! I buy mine and I shall be making this for dinner tonight. How have you been?? Good! It’s simple to make, but if I could buy it, I would! Sometimes years ago I’d just use firm tofu. Yes, Tofu is a good substitute but sometimes it has a smell that I don’t really like! And tofu is cheaper too! I can’t believe I still haven’t tried paneer. I bought it once to make a dish and forgot about it so it went out of date! This looks like the recipe to finally try it. Ha ha I just dumped some paneer in the trash can the other day, because I’d bought one too many. I understand what you mean completely. You should try the recipe, sometime. Have a pleasant weekend! Thanks Liz, Hope you had a great weekend. I did have an awesome weekend, thank you very much! Ha ha. thanks so much, Aruna. Have a great day! Ha ha go ahead and dunk it. It tastes awesome! It looks and sounds so good! Have you made the paneer yourself Liz? I haven’t but I was watdpching the Spice Goddess tv show and she made it, looked very easy. My favourite thing about Indian cooking is that it is mainly vegetarian and a very healthy way of cooking. Unfortunately, sometimes the spices don’t agree with my stomach. I do enjoy the scents of the cooking spices in a hot pan! How have you been? Your kids will be out of school now so do you find life a little less busy or not? 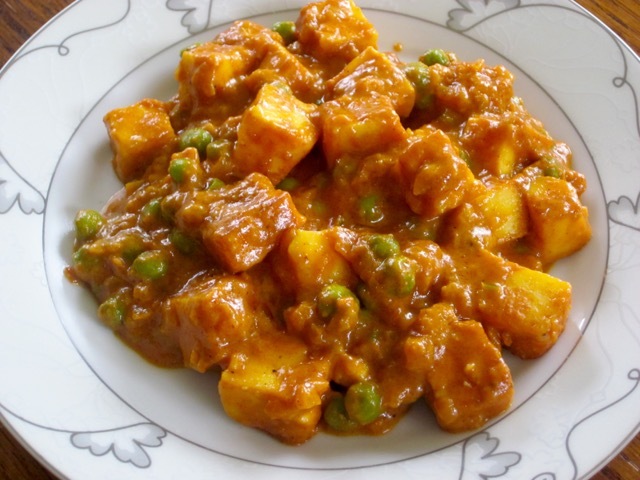 I made the paneer once and got hooked, and both my sons, really love it. NO LEFT OVERS!!!!! I have no problem whatsoever with spices. My pantry is full of all sorts of spices from turmeric to garam masala to mustard seeds. I love cooking with spices. I’m okay. No school right now but they are attending camps all over the place. It’s however less busy. Have a wonderful week. It’s so hot here, I don’t bother to go outside during the day. While we yearn for sunshine but it’s rainy and cloudy and grey. Sigh. Funny how the weather is this year compared to last huh? 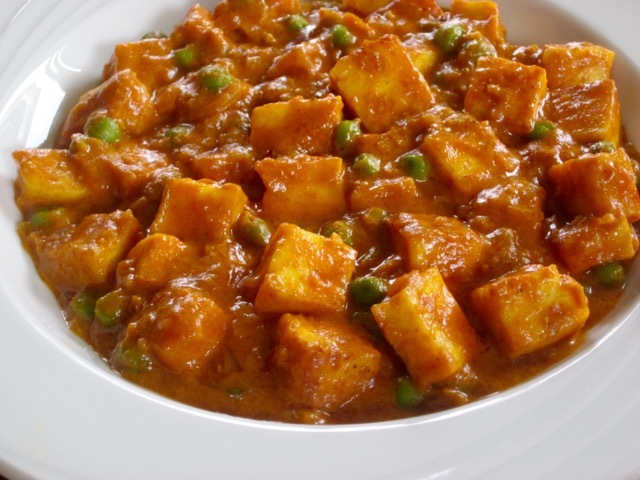 I must try to make the paneer. I’m assuming you use whole milk. Anytime I’ve made rice pudding or bread pudding for instance, it just isn’t the same with skim, 1% or 2%! Needs the real deal. By the way, I think I may have mentioned to you that I am growing turmeric in a pot this year. I bought the corms from the health food store in town and the poor things started off poorly but with warmer weather they are beginning to come back nicely. Hope your weather cools down a wee bit and we’ll send you some of ours. Best to you Liz. Oh yes Sandy, today is nice and cool and breezy. I’m sitting by the French Doors enjoying fresh air… the air conditioner is off! Yes I remember you said, you’re growing turmeric and I was so envious. I’m glad to hear it’s doing well. So what do you plan to do with it? Harvest the corm and dry it? For the paneer I used cream. 35% is the best but sometimes I use 10%. I never use skim milk. I use 2% for my tea or cereal. I’m just about to head out on a day trip with a friend who has not travelled at all on our part of the world. Such fun! Thanks for the info on paneer! I’m dying to try it. As for the turmeric, when it’s finished growing for the season, I will pull it and dry out the rhizomes or corms or ? And I will let you know how they have turned ot. I can send you one or two to grow yourself if you wish? Mine are in a pot as they are considered a sub tropical plant. Well, off I go on another adventure! Take care ?Liz, so enjoy chatting with you! I hope you had a great time with your guest. I look forward to hearing whether you got huge rhizomes or not. I would love to grow some. That would be great. I have had a busy week with stay-in guest but most of them are gone now. Thanks and have a very pleasant week! I love chatting with you, too! You should eat it right now. Maybe I get to give you a second helping. Thanks for complimenting! Wow. Looks great! That’s my kind of meal. Something stew-like over rice. Wish I could have some right now. I like the way you describe it Dave. I wish you a pleasant week! Looks very tasty, can’t say I’ve had it…but I trust it is if it makes it on the weekly menu 🙂 Seattle is warming up, finally! Have a great week. Seattle is just warming up? we are sizzling hot here. It tastes great I tell you. Enjoy the warmth! yes, summer has been slow to stay, but the last couple of weeks have been great. Good to know. Have a great week! Very interesting, Liz. 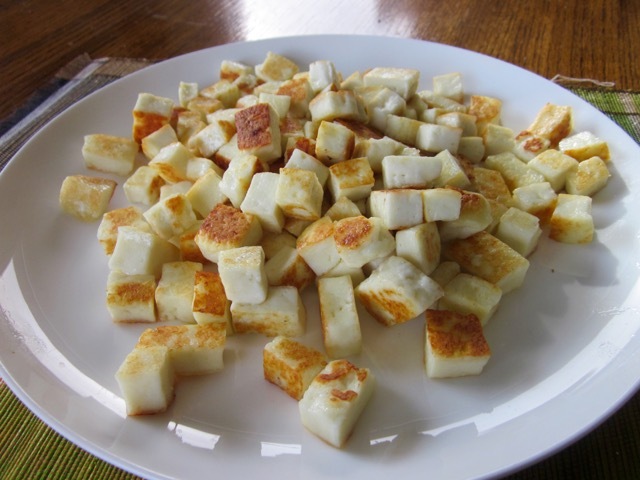 I had never heard of paneer, but a quick look around the net showed me that I could probably make it myself fairly easily. I may give it a try. I have a round of Mexican cheese that is probably quite similar, so I may try your recipe using that first. Hey how have you been? I’m glad to hear you found a Mexican sub. You can also use extra hard tofu for this recipe. I believe it will just work fine. I wish you a happy cooking. I thought it was tofu to look at it. I love tofu, but soy drives my [lack of a] thyroid insane. So I was glad to see it was cheese. I find tofu has that smell, that I can’t really describe. 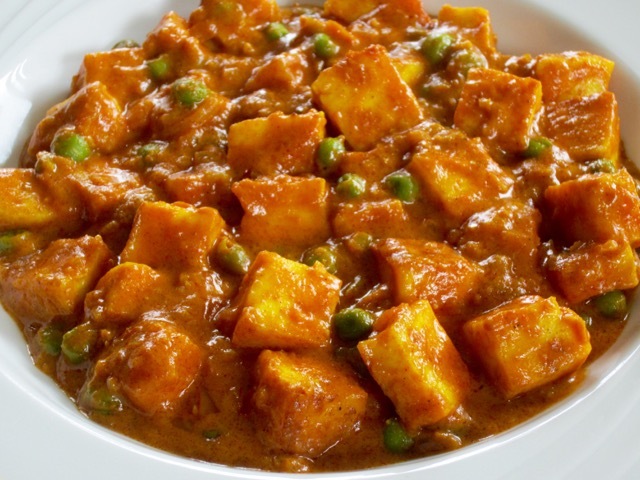 Paneer doesn’t, so I prefer paneer, always.